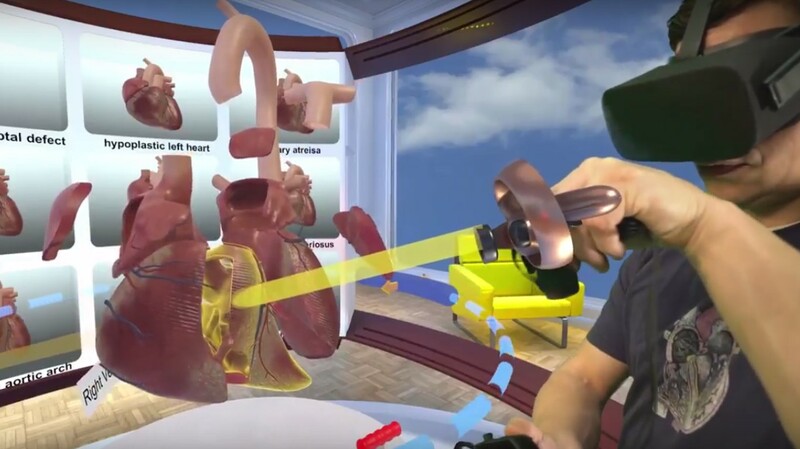 Stanford University believes that with its VR medical visualization platform the University is positioned to dramatically improve patient engagement. Stanford Medicine perceives tremendous value in “utilizing VR across the treatment continuum to educate patients and families about complex treatments options.” (Please find also VR Serious Games Redefining Physical Therapy). 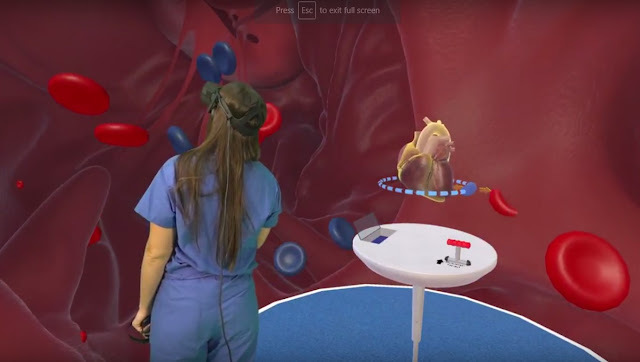 The Stanford Virtual Heart – Uses VR technology to explain complex congenital heart defects, which are some of the most difficult medical conditions to teach and understand. The Stanford Virtual Heart experience helps families understand their child’s heart conditions, and it provides medical trainees with an immersive and engaging new way to learn about the two dozen most common and complex congenital heart anomalies. Equipped with a VR headset, players may choose to explore any of the 12 congenital heart defects displayed on a three by four paneled shelf. This atlas of congenital heart defects encompasses a broad spectrum of complexities ranging from a hole in the heart to defects resulting from complex biological abnormalities. When the user makes the selection, a beating heart is pulled from the shelf and projected before him/her. 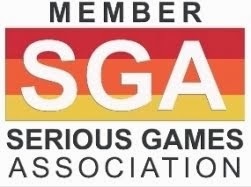 Players can spin the heart around, view it from all angles, observe the vasculature, choose a certain section of the heart to observe in greater detail or even jump inside one of the heart’s chambers. Project Brave Heart - A new study on using a VR program as a tool for “stress inoculation therapy,” which aims to help patients mitigate anxiety through cognitive behavioral therapy techniques, including relaxation and exposure. 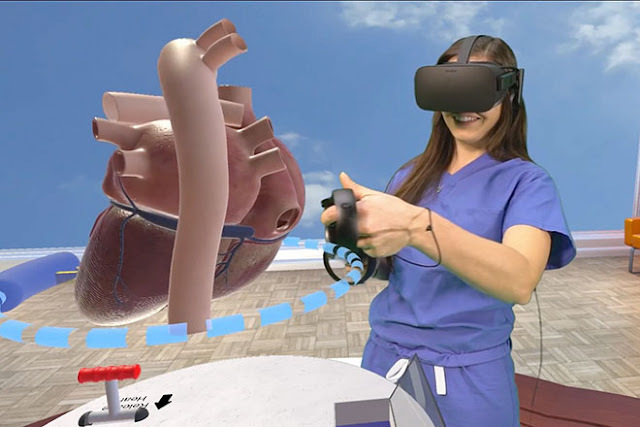 The study includes sending a VR headset home with patients who have a cardiac catheterization procedure scheduled so they can learn about the procedure and practice relaxation techniques. Although catheterizations are outpatient procedures, catheterization patients must undergo general anesthesia. Doctors find the experience can cause stress and anxiety for patients, especially if they’re young. 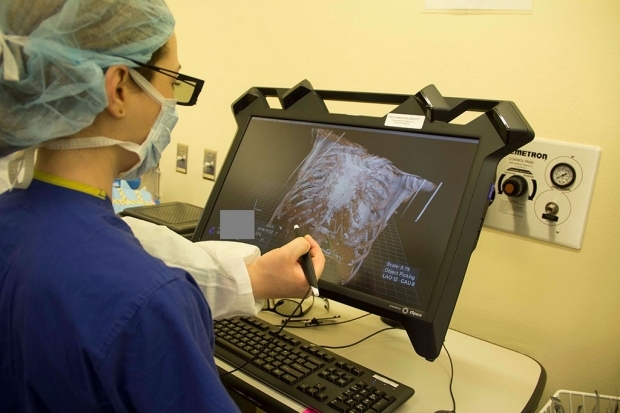 3-D Virtual Imaging Technology Inside The Operating Room - Uses virtual imaging technology to digitally convert computed tomography (CT) and magnetic resonance imaging (MRI) scans into 3-D images. Essentially it allows pediatric cardiac surgeons to do a virtual run-through of the surgical procedure from inside the operating room. There are numerous ways that care teams at Packard Children’s are introducing VR use in the hospital. 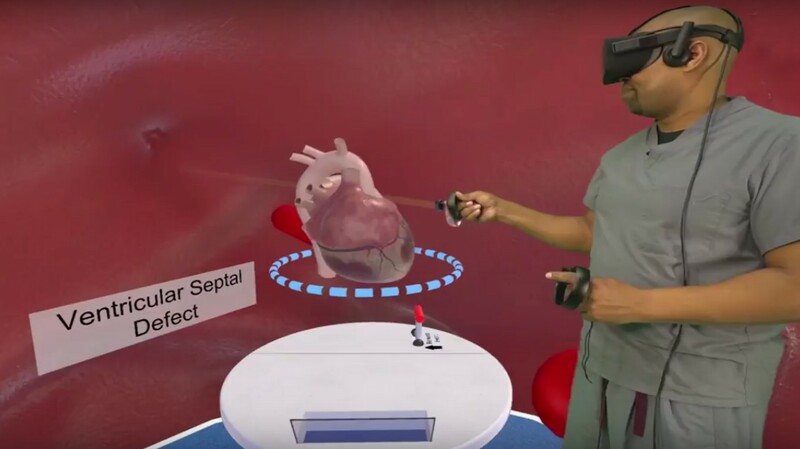 The Children’s Heart Center, whose leading Stanford pediatric cardiac specialists perform about 2,000 cardiac procedures each year, is an ideal place to develop and test some of these groundbreaking VR tools, each of which address a unique component of cardiac care. 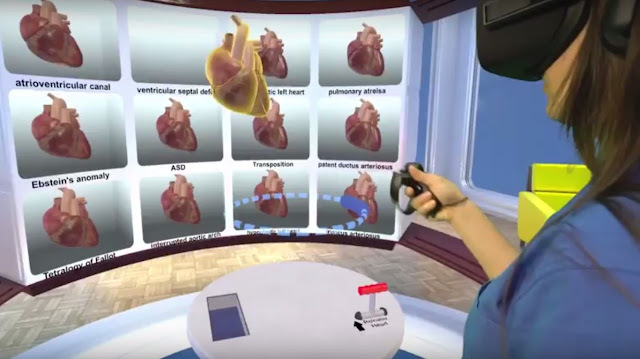 Once The Stanford Virtual Heart Program is complete, there’s potential to develop a comprehensive VR education lab at Packard Children’s where patients with all types of conditions — cancer, neurological diseases, hearing issues and the need for organ transplants — will be able to learn more about their conditions using the technology. Stanford Virtual Heart project is spearheaded by the hospital’s pediatric cardiologist David Axelrod.